Nonprofit advisor Jim Goettler guides you through the process from beginning to end, even providing a new, proven case study that's a living example of nonprofit success. 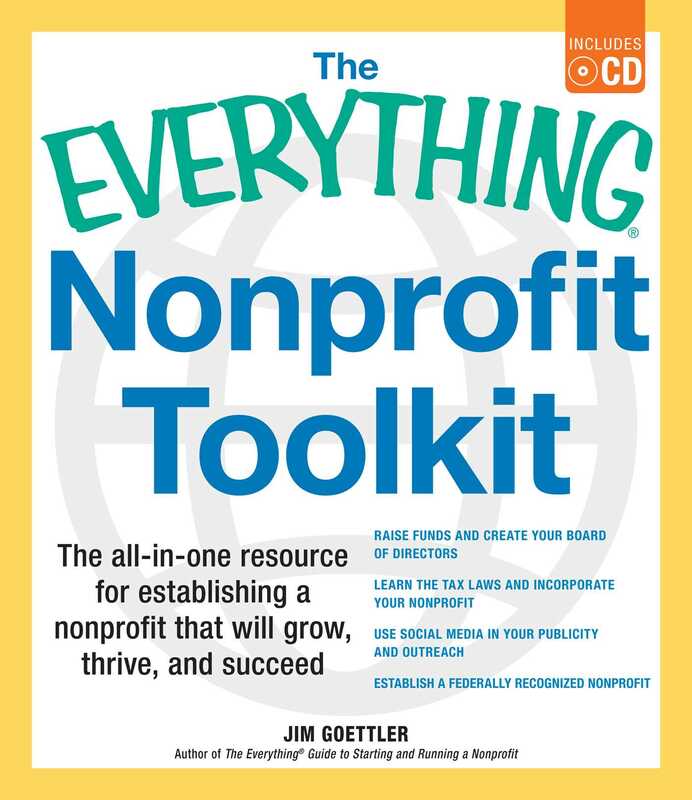 Complete with a CD chock-full of every tax, budget, and incorporation document that a nonprofit needs, plus the latest information on Form 990 reporting, The Everything® Nonprofit Toolkit with CD will take your dream of a nonprofit to reality. PLEASE NOTE: The ebook version of this title does NOT include a CD.